November 20, 2013: ViewPoint 3Ds latest advanced computer range for 2014 covered in the editorial section of Digital Signage Today, one of the leading industry publications. September 9, 2013: ViewPoint 3D version 2.104 released with a range of new features, including support for new weather system and scrolling textures. Screenshot. Video. January 28, 2013: ViewPoint 3D software independent review. January 16, 2013: ViewPoint 3D version 1.150 released with many new features and improvements, including alpha fading effects for 3D objects, automated object tracking and dynamic data-controlled layout resizing. September 28, 2012: ViewPoint 3D mentioned in editorial story released by Computer Weekly, regarding AMDs APU technology. August 29, 2012: ViewPoint 3D version 1.04 editorial story released by 3D Focus. July 12, 2012: ViewPoint 3D version 1.03 released. Support added for 3D models with up to 256 materials each, and individual rendering settings for each material, including flat, textured and tinted glass, environment mapping and reflection layer. June 27, 2012: ViewPoint 3D version 1.02 released. Available now in commercial and free demo version. 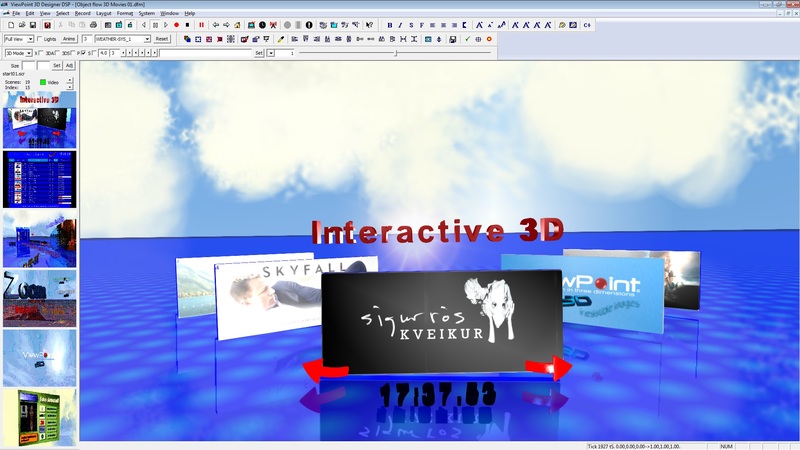 May 16-17, 2012: First official release of ViewPoint 3D Presenter, version 1.0 at ScreenMedia Expo, Earls Court, London, England. May 3, 2012: ViewPoint now supports Dimenco No Glasses 3D TVs. By just clicking the "Stereo 3D" button, ViewPoint 3D will configure its video output into the 3D + Depth interlaced Declipse full-background 3D format. No pre and post processing, not even saving to a file, just create your 3D presentation and click go, the 3D just jumps straight out of the screen, with live content updated by RSS feeds, database and well anything you like! 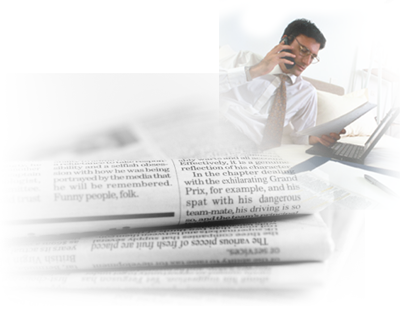 May 9, 2012: ViewPoint 3D in the press : click here to see what the press are saying. ViewPoint 3D is based on the original ViewPoint 2D software used by airports and industry to present complex data-controlled information, from passenger and staff information at airports, to business, industrial and scientific information. This provides ViewPoint 3D with a solid and reliable code base proven by many installations worldwide. © 2012 Sentel Advance Systems. All Rights Reserved.